I’ve been guiding for 20 years now and I freely admit that I now know less than I thought I did 10 years ago. It is a complicated game that we play and even when you try to play it smart, there are still times that you just get stumped and this past week we all did. The week began with cold rainy overcast days that were a good excuse for a tough bite, especially down by the lodge on the south shore. The weather improved with bright sunshine that kicked up surface temps by 5 – 10 degrees for several days in a row. As the weather stabilized with consistent northwest winds, we felt confident enough to predict a strong shallow water bite on the south shore. It didn’t happen and then it didn’t happen again. And so like a belligerent 3 year old, we tried to pound that square peg in a round hole. We all repeatedly kept checking areas that have been consistently good on the south shore; morning, afternoon, shallow, deep, fast, finesse, sand, rock, weeds, …. 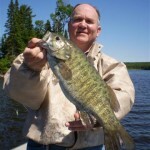 Despite the fact that there has been a good bite down here before this week and that all signs predicted a good bite down south, it just hasn’t happened. It is almost like fishing 2 or 3 different lakes. We know and expect the south shore to go, but when it didn’t, AGAIN, we had to keep searching. In June, during previous fishing seasons, we used the North shore spots as an option to save the day with volume when all other options failed. 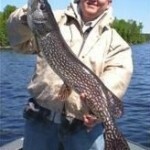 Now, it is the only game in town and to our surprise, we are finding some big fish up there as well. 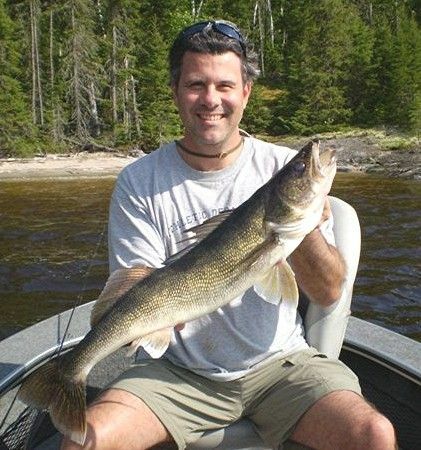 No guide wants to be the 5th boat to pull up on a spot and I am notorious for driving by a good bite to test an experiment. Many of us were stubborn several days this week and paid the price with some short sheets. 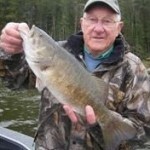 There were a few very specific spots that were hot and some of them turned big fish. They were all on the North shore. They were all inconsistent for size, and they were all extremely variable. 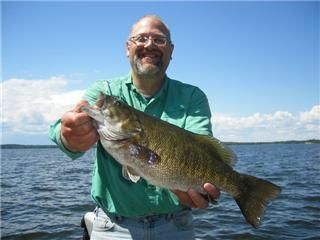 It was common to here, “got into a bunch of choppers… just kept releasing small walleyes and then all of sudden, a whopper would hit.” I would prefer not to have to relay those stories, but that is what happened this week. With the extra travel and searching, volume was off this week. 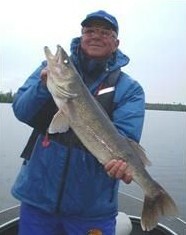 Daily guide sheets averaged between 15 and 20 walleyes over 18 inches per boat. The highest daily total was 46. 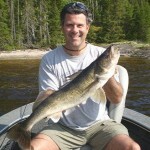 For the week we had 23 walleyes over 27 in., including 2 – 28s, and 3 – 29s. The top end was good, volume was down, and the consistent 23- 25’s that we count on for a good day, were hard to come by. 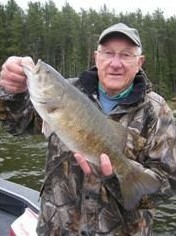 The bass bite suffered a bit from the early cold rains, but rebounded towards the end. 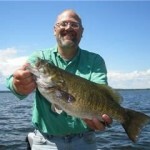 For the week, we had 48 bass over 17 in., including 11 – 18’s, and 4 – 19s. 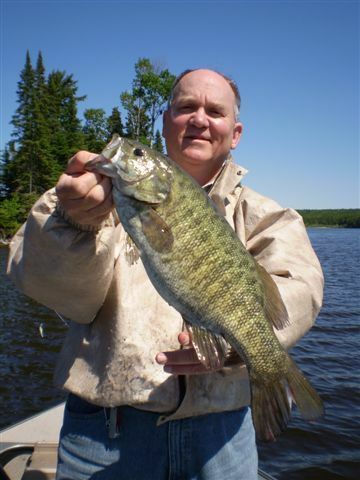 Most were caught a little deeper than usual with jig and plastic combos in 4 – 8 ft. of water. 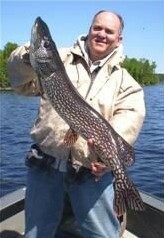 For the week, there were 4 pike caught over 37in., including 2 – 40s. One was targeted and one was caught while bass fishing.